The Olympics are coming to London this summer and you can celebrate this historic occasion in your classroom with our collection of teaching resources. These medal-worthy resources include a look into the history and politics of the games, the exploration of national identity through flags, designing stadiums for different countries, how to get active in the classroom and much more. Promoting the Games and describing champion images are the focus of this speaking and listening unit. Has the Games' motto of 'faster, higher, stronger' become tainted by drugs, commercialization and corruption. This debating lesson is likely to encourage heated conversations. Come up with a selection of sporting slogans, intriguing interviews and argue against amateurism with a bundle of writing activities. 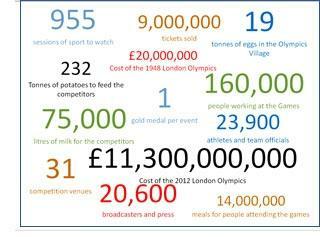 Number facts about the Olympic games for display. Think of timing and distance to plan a day at the Olympics – who will get to see the most events? Compare the distance the Olympic torch will go against the distance as the crow flies in this mathematical challenge. From the high jump to weight-lifting, this activity-based lesson adapts Olympic sports into science problems. Students can explain which meals suit which athlete by testing whether foods are rich in fats, protein, starch or glucose in this practical science lesson. Explore how athletes’ performances rely on physical forces with this colourful journey through different sporting activities. Explore the origin and values of the games in these delightful original songs designed for the primary classroom. 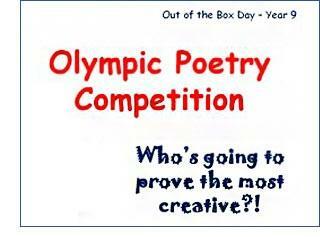 Ready-to-use presentations with animations to guide pupils through an Olympic sing-a-long. Blow-up these country flags for display, create classroom bunting or use them as a springboard for discovery activities – the world is your oyster. A template for designing running vests; why not go the extra mile and print the designs so pupils have their own Olympic t-shirts for sports day. French clues to the identities of French sports personalities – a great activity for a Year 12 class. A super resource with a PPT and accompanying worksheet – would work extremely well with middle – lower ability sets. Keep your class busy with this comprehensive activity pack which brings geography alive through the Olympic games. How will London keep green during the games? Explore the policies and actions taken to ensure 2012 is a winning year for the environment. Explore the different scales by which the games can be measured – from personal to global impact. 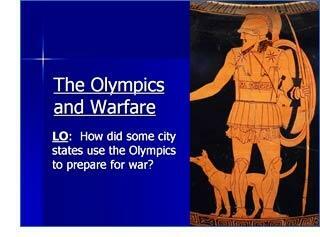 Explore how the Olympic Games in Ancient Greece was used to train soldiers in this colourful PowerPoint. 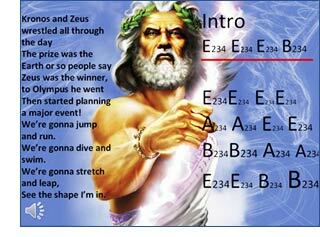 Introduce students to the ancient civilisation that brought us the Olympics with this map-based resource. Use the Olympics as a hook to discuss the significance of playing fair. Sweatshop workers vs millionaire athletes? Explore the economics of the Olympics with this resource pack from War on Want. 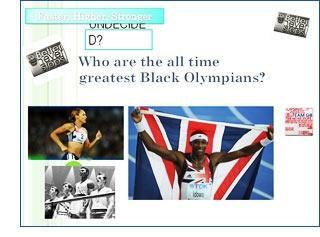 Celebrate the achievements of black athletes from Jesse Jackson to Carl Lewis with this colourful PowerPoint. Help pupils to design their own stadium or other sporting site with this thinking task and evaluation. Why do Wenlock and Mandeville look as they do? What inspired the designs? 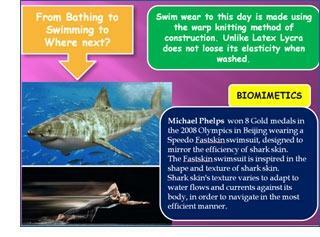 Get pupils designing their own meaningful mascots with this PowerPoint about the Olympic duo. From its humble beginnings to the science of surf-wear explore the evolution of sportswear made for the water with these beautifully presented and detailed PowerPoints.